Why Hire a Professional Remodeling Contractor? Your remodeling contractor has the experience, the skill and the tricks of the trade to materialize your dream home. He will ensure that the work environments, quality of materials etc. are up to standard. Your contractor will be able to predict the outcome of the work and fix the hitches that may slip your eye,hitches that could prove disastrous to your entire project! A contractor will add more value to your project and give you novel and innovative ideas that you might not think of. Shuffling time between your work and your family will allow very little time for you to finish your project. A project that could be completed within weeks might extend for months if you do it by yourself. 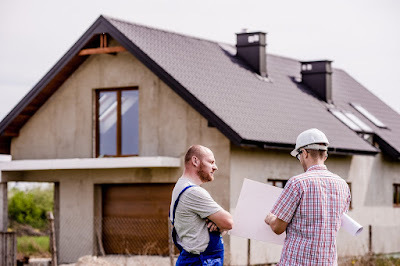 At the end of the day you might be tired and unhappy with the progress in your remodeling project.An established contractor on the other hand, has a single goal - to complete your project ahead of time and give you the best possible results. Your contractor will get the permits, oversee the entire project workflow and plan inspections accordingly. These might be a bit too complex for you to handle during the week and are best left to the contractor. You might also feel that doing the work yourself would save you big bucks because you don’t have to pay for labor. But this is where homeowners falter; most homeowners lack the skill to complete a remodeling project with accuracy. Tasks like electrical wiring, laying tiles, leveling the floor etc. require skill and a small mishap can cost you more than you could possible imagine. A contractor on the other hand is well experienced and well connected to the industry and the manufacturers, and so you might get better discounts in the purchase of raw materials which will help you save a lot of money. Your contractor will deliver the promised results. An experienced contractor can produce a flawless work. Your contractor will take control of all the major and minor aspects of the project like preparing the contracts, offering skilled labor, getting a team of well experienced architects and designers etc. Here at Daniel Mackey, we offer the best services. We put the needs of our customers first and give you what you want and what you need. You can entrust your remodeling project to us because our work is flawless and you will witness the unequalled skill of our labor and originalityofour designs. Visit our website today and don’t hesitate to call us!